Fire extinguishers are your first line of defence when dealing with a fire hazard. Over 90% of all fires are controlled or extinguished with the use of fire extinguisher. Therefore, fire equipment servicing is important to ensure the fire fighting equipment works properly. Australian Fire Protection Group provides effective fire equipment servicing ensuring the devices are in order and provide essential protection against future fire risk. 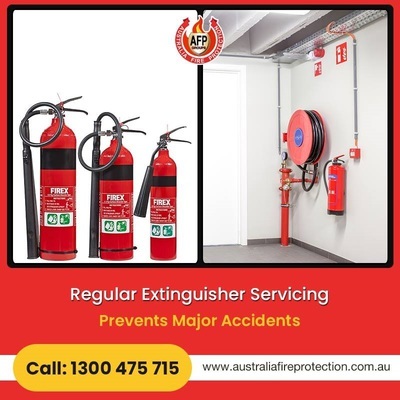 Learn more: https://www.australiafireprotection.com.au/fire-equipment-servicing or call 1300 475 715.